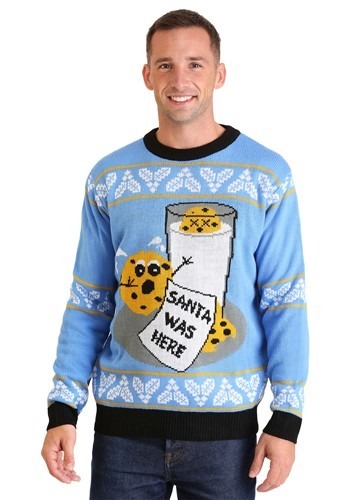 Small - $19.99 2X - $24.99 Only 4 left! The holidays are a time of cheer and great fun for the whole family. We all acknowledge this and have sort of began taking all of our Christmas cheer for granted. That’s always a dangerous thing to do, especially when not everyone is going to enjoy the holiday. This can be a time of serious trauma for some and it is important to try to see things from their perspective… at least for a while. Of course, we’re talking about the real victims of the Christmas season: those terrified cookies that are about to get themselves completely munched upon by a host of kiddos and the big guy, himself, Santa Claus! This sweater has a relaxed fit, a super soft texture. The light blue color is sure to stand out at holiday parties and at your annual cookie exchange. The black cuffs on the sleeves, waist and at the neck maintain your coziness. The casual fit is sure to pair well with all sorts of outfits. Comfortable and warm while also revealing the knitted design of panicked cookies who just know that Santa is going to be the death of them, this sweater will be a holiday favorite! It might not be the most sensitive way of exploring the secret feelings of cookies. But, when is the last time a cookie sat down and really tried to open up to you, anyway? 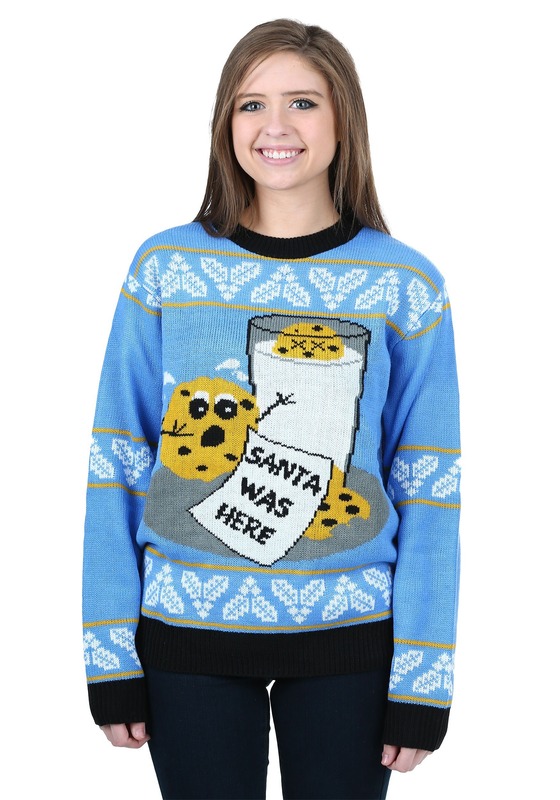 The representation cookies get from this sweater is about as good as they’re going to get… at least until they get eaten. Hmm, maybe the cookie lifestyle would be safer if they weren't so darn delicious.